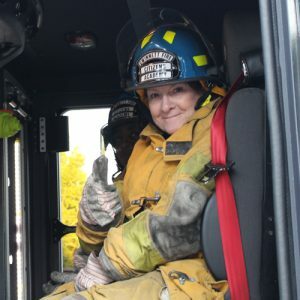 The Gwinnett Citizen Fire Academy Alumni Association Inc. is organized to promote fire and life safety education and support the Gwinnett County Department of Fire and Emergency Services educational programs. 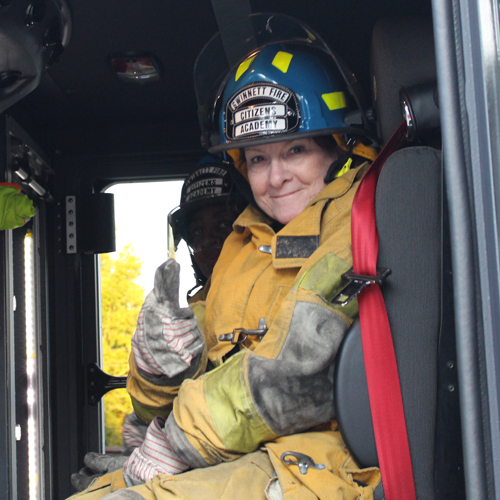 The organization offers continuous public education volunteer opportunities for the graduates of the GCFA with the Gwinnett County Fire & Emergency Services (GCFES) throughout Gwinnett County. The Alumni Association holds regular business meetings once a month on the first Tuesday from 7 p.m. to 9 p.m. at the department’s Fire Headquarters in Lawrenceville. Each month’s meetings usually consist of a training class taught by Fire Educators or emergency services staff members & a guest speaker on a variety of topics related to our community. The Alumni Association works closely with the Community Risk Reduction Division to promote fire safety and injury prevention programs throughout the County. Alumni provide assistance with community events such as the Public Safety Fall festival, Youth Fire Safety Training Facility, Smoke Alarm Blitzes, CPR Training, SeniorBSafe, Home Safety Survey, Mobile Fire Safety House, and other department functions.